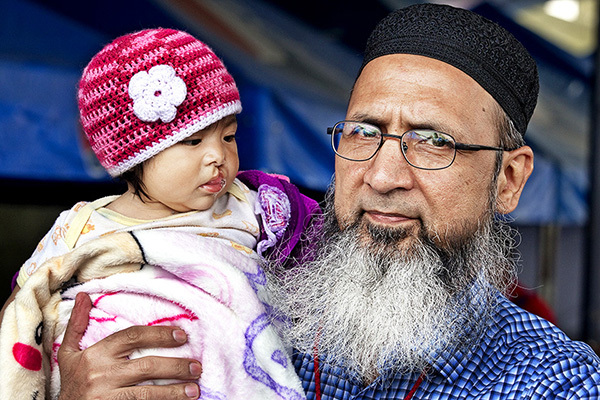 One of the world’s most experienced cleft surgeons, Dr. Ghulam Qadir Fayyaz is renowned for his tireless execution of medical missions in his homeland of Pakistan, which have served tens of thousands of patients. 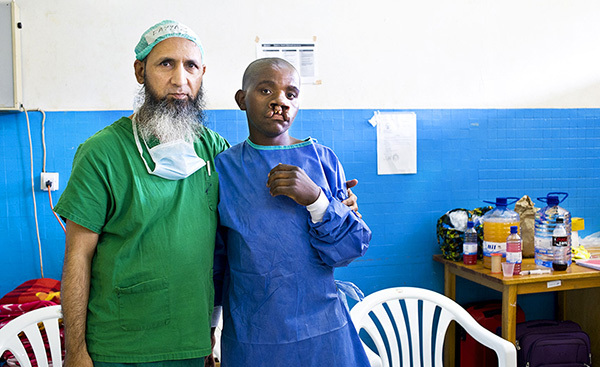 However, while Fayyaz volunteered on an Operation Smile medical mission to Rwanda in 2013, the story of one patient revealed a definitive moment in his distinguished career. Immediately after closing the final suture of a long, exhaustive surgery on the severe bilateral cleft lip of 25-year-old Enok, an upwelling of emotions flooded the heart and mind of Fayyaz. “I cannot forget Dr. Fayyaz crying after surgery, which lasted longer than usual because it was complicated and he also wanted the results to be as perfect as possible,” said Margherita Mirabella, an Operation Smile photographer who also played a central role in recruiting and convincing Enok to receive surgery at that medical mission. When Fayyaz speaks of “we,” it’s undoubtedly a reference to society as a whole — a challenge directed toward humanity to care for its own. This articulation of his vision uniquely aligns with Operation Smile’s vision: every child suffering from cleft lip or cleft palate deserves exceptional surgical care. The fact that Enok made it to 25 years old reflects his resilience — only 7.3 percent of people living with unrepaired cleft conditions survive to reach the ages of 15 through 19. This sobering statistic speaks to the immense impact Enok’s story continues to have on those involved in bringing him out of a life of despair and hiding. Operation Smile Program Officer Morgan Bober, then a coordinator for programs in Rwanda, was in the operating room and witnessed Fayyaz’s emotional reaction to Enok’s surgery. The intersection of Fayyaz’s commitment to healing smiles and Enok’s odds-defying story almost never materialized. Fayyaz originally sought to volunteer on an Operation Smile medical mission to India, but was unable to attain a visa for that trip. 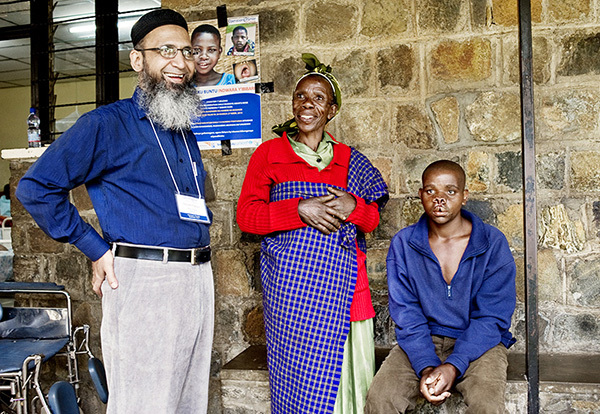 When Bober learned Fayyaz was available to volunteer in Rwanda, she jumped at the opportunity to include him on that medical mission. Fayyaz also volunteered on the 2015 and 2016 medical missions to Puebla, Mexico and Isabella, Philippines, respectively. 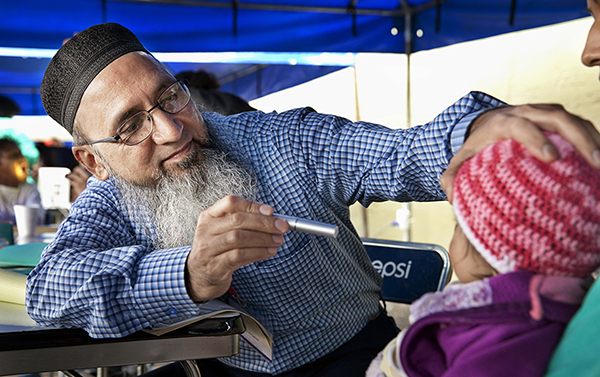 The vast majority of his work has been performed in Pakistan and Afghanistan through the Cleft Lip and Palate Association of Pakistan, an organization he founded in 2003. Pakistan has the fourth largest population of people living with cleft conditions behind China, India and Indonesia. His most recent paper, “A Model Humanitarian Cleft Mission: 312 Cleft Surgeries in 7 Days,” won a gold medal in the Plastic and Reconstructive Surgery 2016 Global Open for Best International Collaboration. Fayyaz will be recognized at the American Society of Plastic Surgeon’s “The Meeting 2016” in Los Angeles on Sunday, Sept. 25.